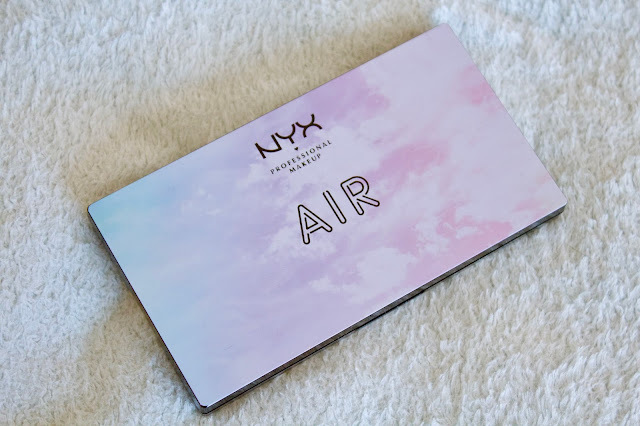 I recently picked up the NYX In Your Element Air Palette on sale at Ulta. I was super excited to find it because I had wanted to get it when I first saw the collection come out several months ago. I was drawn to its combination of bright and pale colors, which is pretty unique for a palette. I have been enjoying putting together eye looks with the fun colors, and when I created this look it made me think of something a person might wear to a holiday or new year’s party. Very frosty and silvery, perfect for winter. If you would like to learn how to create this eyeshadow look, keep on reading for step-by-step instructions, including cool, up-close pictures of my bloodshot eye! Keep in mind that I'm nowhere near being a professional makeup artist. 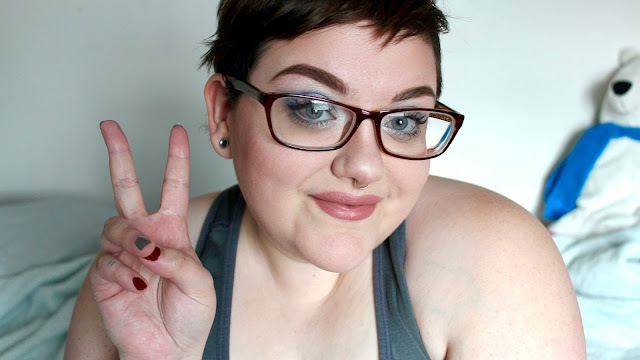 I'm simply a kid who likes playing with makeup and wants to share their creations. Step 1: Prime or conceal or do whatever prep you need to do to your eyelids before applying the eyeshadow. Step 2: Pack a light, sparkly periwinkle shadow (#10) onto the lid as a base. 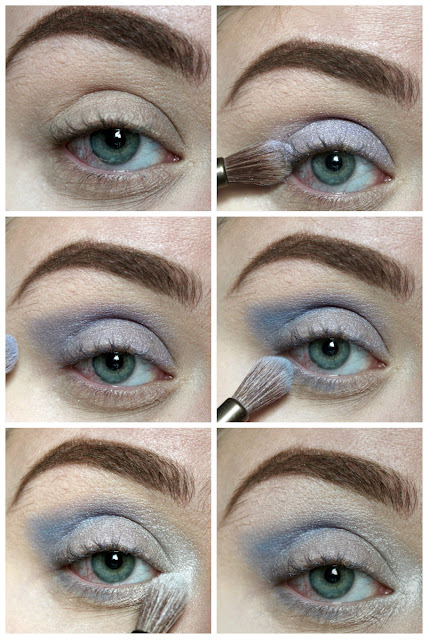 Step 3: Blend a dark periwinkle (#4) in the crease and outer corner, winging it out slightly. 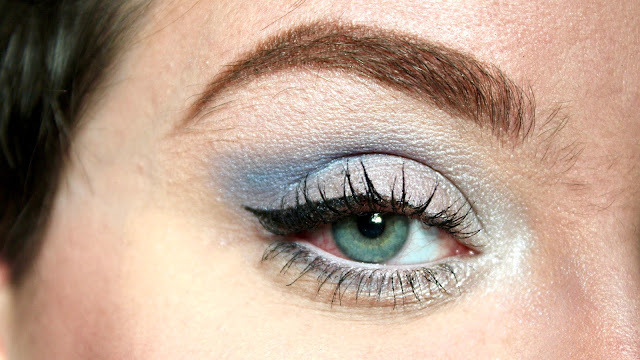 Step 4: Blend a bright slate blue (#5) into the crease as well, to create a frosty blue color. Then sweep a mixture of the two along the lower lash line. Step 5: Pat a glittery silver (#7) into the inner corner, blending it up into the crease and down along the lower lash line. Step 6: Highlight the brow bone with a light shimmery rose color (#1). Step 7: Finally, do your usual eyeliner and mascara to complete the look! Don’t forget to add a bit of white pencil to your waterline to finish it off. And you’re done! This is a glittery look, so make sure to protect your face from eyeshadow fallout by packing translucent powder under your eyes before you start. Then you can dust it away once you’re finished, without ruining your face makeup. Although it’s nothing spectacular, I think this simple look is super cute and perfect for winter and the holiday season. This palette is a lot of fun, with such a strange variety of colors. 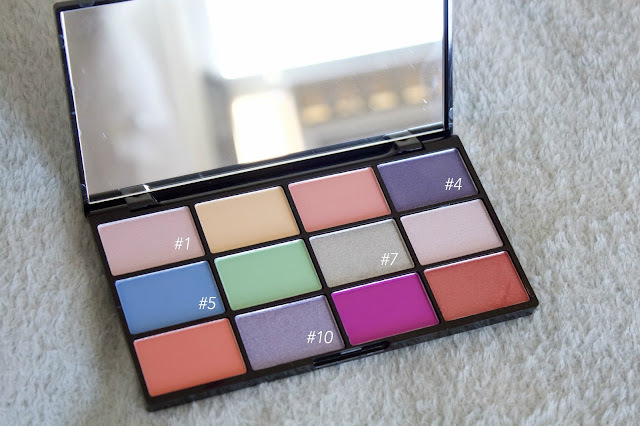 Overall, I think it is very versatile, though not the most cohesive of palettes. I think it would be fun to try to create a look for each season with it. I would love to know what you thought of this tutorial type post. 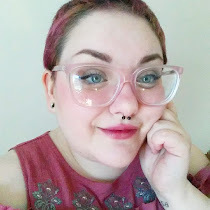 What kind of makeup looks would you like to see from me in the future?